The well-being of every individual in the Carnegie Mellon University family is a top priority for the university. CMU offers a variety of health and safety services — from departments such as University Health Services to Environmental Health & Safety to a dedicated University Police unit. 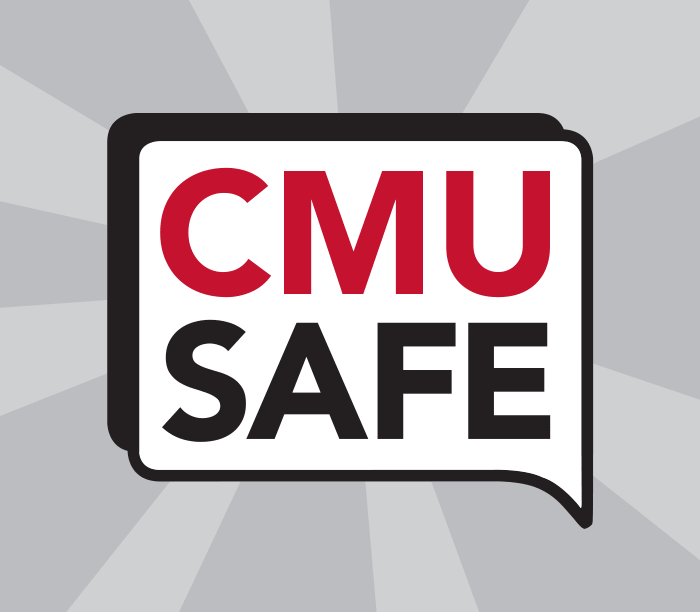 The mission of CMUSafe is to empower the CMU community to say something if we see something. University police and security officers patrol campus throughout the day and night. University Police can be reached on the more than 50 special emergency phones throughout campus. Carnegie Mellon's Emergency Medical Service handles urgent medical needs of the campus community during the academic year. The CMU Alert emergency notification service is available to all students, faculty and staff. The service sends voice and text messages in the event of an emergency on campus. All members of the campus community are encouraged to participate in this program by registering online (AndrewID required); students are pre-registered; faculty and staff are encouraged to participate. University Health Services is an accredited facility that delivers comprehensive primary health care with a certified and experienced team of physicians, nurse practitioners, dietitians, nurses and physician assistants. For faculty and staff, University Health Services offers seasonal flu vaccinations and additional services. Counseling and Psychological Services (CaPS) addresses the mental health needs of the CMU community through a variety of services. We provide a safe, confidential environment to talk about personal or academic concerns. We assist students who need to connect with mental health resources in the community and support staff, faculty and family members who have concerns about the well being of a student. For an appointment, call during regular office hours. For urgent support, the phone is answered 24/7. The University is dedicated to preventing and effectively responding to all forms of sexual misconduct, including sexual harassment, sexual violence, dating and domestic violence, and stalking. If you would like more information, or if you would like to share concerns or seek help, please contact the Office of Title IX Initiatives to set up an appointment. If this is an emergency, please contact University Police at 412-268-2323. Carnegie Mellon's Environmental Health & Safety (EHS) Department is committed to providing health and safety services that protect the university community and the environment. EH&S supports all departments and campuses within Carnegie Mellon University including: academics, research, athletics, facilities and housing.